"Our research provides evidence for a dramatic change in the rate of asteroid impacts on both Earth and the Moon that occurred around the end of the Paleozoic era," said lead author Sara Mazrouei, who recently earned her Ph.D. in the Department of Earth Sciences in the Faculty of Arts & Science at the University of Toronto (U of T). "The implication is that since that time we have been in a period of relatively high rate of asteroid impacts that is 2.6 times higher than it was prior to 290 million years ago." During the lunar night, rocks radiate much more heat than fine-grained soil called regolith. This allows scientists to distinguish rocks from fine particles in thermal images. 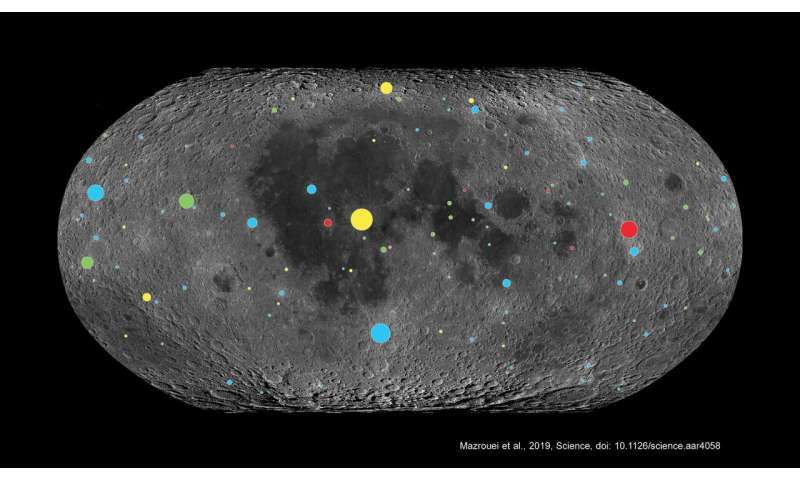 Ghent had previously used this information to calculate the rate at which large rocks around the Moon's young craters—ejected onto the surface during asteroid impact—break down into soil as a result of a constant rain of tiny meteorites over tens of millions of years. 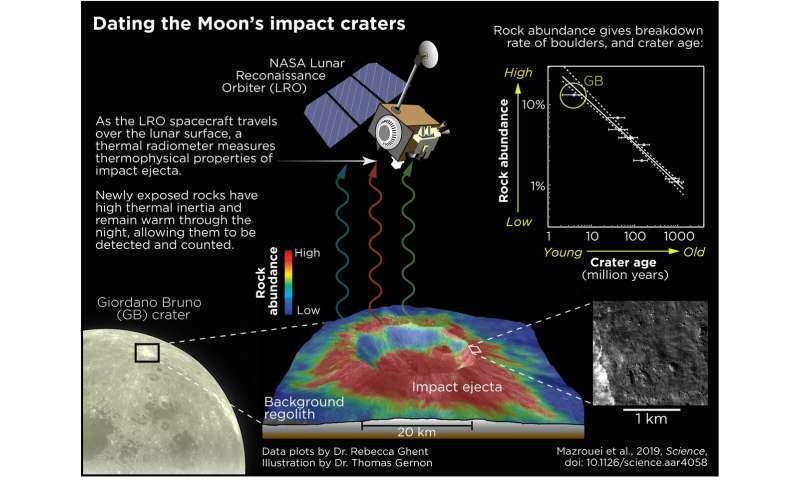 By applying this idea, the team was able to calculate ages for previously un-dated lunar craters. "The Canadian shield hosts some of the best-preserved and best-studied of this terrain—and also some of the best-studied large impact craters," said Mazrouei. The findings are described in the study "Earth and Moon impact flux increased at the end of the Paleozoic", published in Science. Yes, let's pour assumption upon assumption and then when it fits the required long age we can sit down and do some calculations. 1. How did the earth form all by itself from clouds of dust. 2. 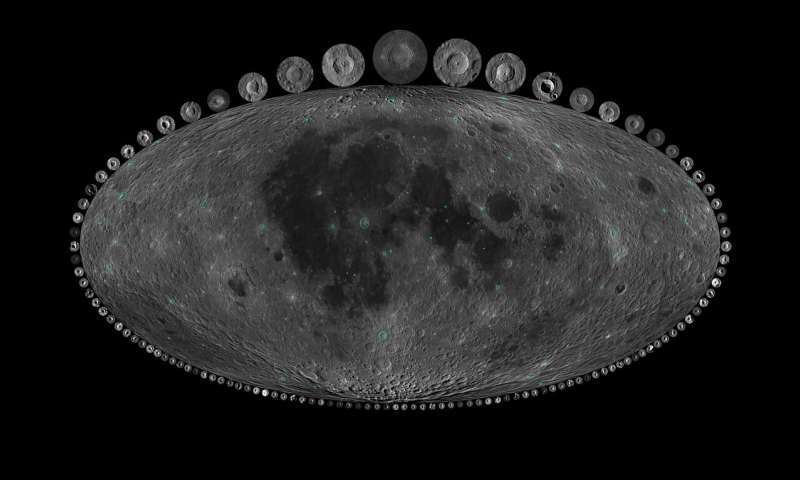 How did the moon form around the earth all by itself? 3. Where did all the water on earth come from? Especially inside the mantle? 4. Where did all the water on the moon come from if there was such an almighty collision with the earth long ago with another object so that it left the moon in orbit? 5. Where did the strong magnetic field of the moon come from (given the incredible high remnant magnetic fields in moon rocks brought back?) and then disappear to ? 6. What does craters have to do with the history of life on earth if it's not possible for life to arise all by itself via random chemical and or physical processes with no outside intelligence and powerful tools? 7. Are the crater counts right, given that one impact can result in lots of craters? Ups, maybe we acquired a second "dark star" (brown dwarf?) with a very large orbit some 300 million years ago. Maybe it's out there, 1 light-year away and slowly disturbing the Oort cloud. Sorry G, but the recently determined orbit of 2014 MU69 (Ultima Thule) demonstrates a rather perfect circular orbit. Undisturbed for billions of years by the hypothesized Planet 9 or Planet X or close brushes with passing star systems. That is the "real" mystery of "Frosty the Blushing Snowperson". As for freddy's delusions of intellectual capability? his/her/its ignorant opinions are the very definition of "pathetic joke". Interesting stuff about Ultima Thule. But then if the Sun had a bit of an inclined orbit going through a hypothetical dark matter disk, then there should have been 2 maxima in that period, not 1 increase. Maybe the Sun's orbit oscillates about the galactic plane with a period of about 600 million years - a kind of resonance between oscillation and rotation? Quite unusual. Makes sense, we should be in the trailing off phase of the initial bombardment and small disturbances may have huge ... um ... impact. Most likely they would be some interaction in the asteroid belt as the paper says, we do see huge collisions changing the impact record types every now and then by adding rocks from new "parent bodies". Known and tested constraints so now translated into observations; solved problems. Don't make claims if you don't know the subject, and please provide references anyway. For example on my part, on Earth formation as solved; https://en.wikipe...physics) . Incidentally on your trolling an ad hoc list, are you not one of those trolling science motivated by a claim that there exist religious magic? It does not, its is fact that neither 'souls' nor 'gods' exist. The only hope of finding answers to questions about how the Earth and Moon formed and answers to all your other questions is by studying something called SCIENCE, if only you were curious enough to bother. We don't have ALL the details of the answers but there is much science has already answered and science is gradually giving us more and more of the answers. I'm honestly surprised you didn't follow that up with a PMS for the solar system joke. What needs to be addressed isn't so much the increase in meteor flux but chasing down the interesting correlations between the Powell's Great Unconformity, a Snow Ball Earth and the almost complete lack of craters older than 650 million years.